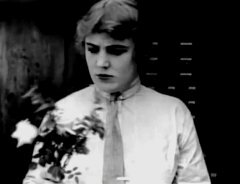 "The Bank" is one of Charlie Chaplin's Essanay short comedies, featuring Edna Purviance, a star of Silent Hall of Fame. 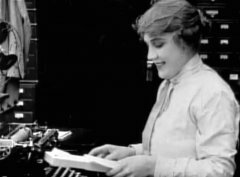 Edna Purviance prepares a present in "The Bank" (1915). 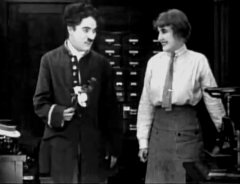 Edna Purviance is friendly with the janitor Charlie Chaplin in "The Bank" (1915). 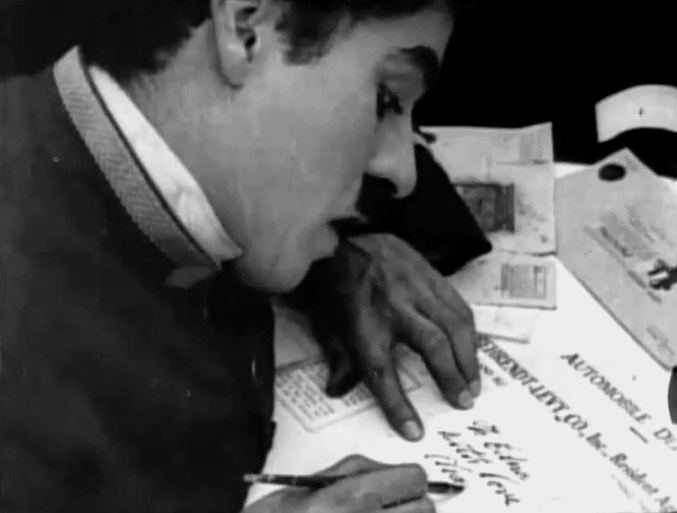 Charlie Chaplin writes a note to Edna Purviance in "The Bank" (1915). Charlie Chaplin is eager to see Edna Purviance's reaction in "The Bank" (1915). Edna Purviance is not impressed by Charlie Chaplin's flowers in "The Bank" (1915). 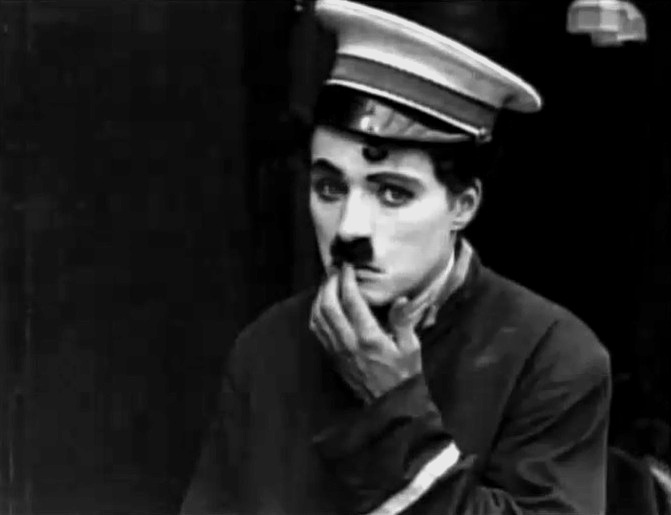 Charlie Chaplin seems heartbroken in "The Bank" (1915). Edna Purviance and Charlie Chaplin like each other in "The Bank" (1915).